Discover More Dumb Ways To Die - With A Bigger And Newer Game! What started as a Public Service Announcement about train safety in Melbourne soon became a viral video on YouTube, with 92 million views to date. 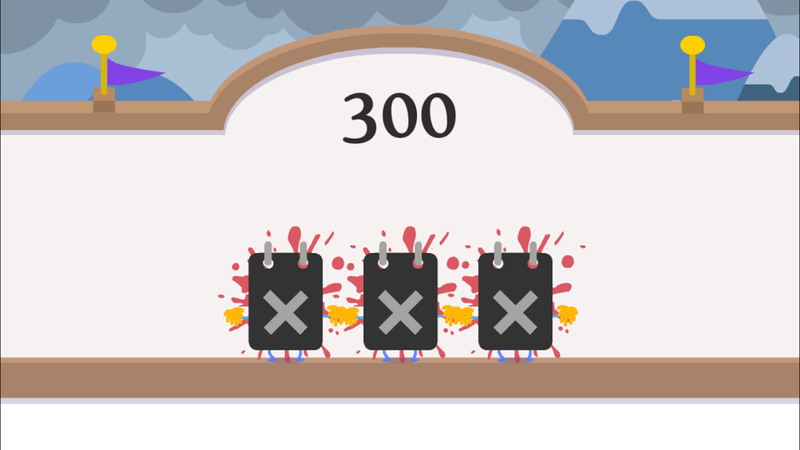 With a catchy tune and adorable cartoons that get brutally mauled in colourful ways, Dumb Ways To Die was easily 2012’s unconventional favourite. It later expanded to a smartphone and tablet game that has over 70 million downloads. 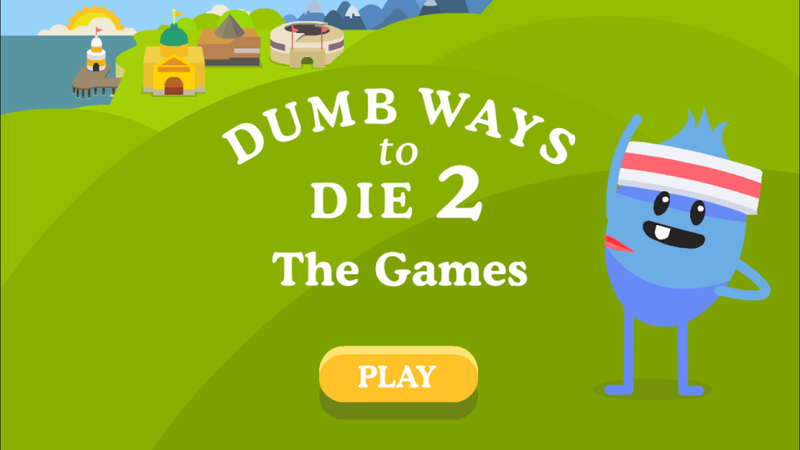 Now, Dumb Ways To Die returns, with a second game – Dumb Ways To Die 2. With the familiar tune playing in the background, you go through more ways to avoid getting the multi-coloured characters brutally killed. Each time you fail, one of the three lives you have are squashed – literally. When you enter the game, you will enter a small town, with 5 different destinations that you would get to by train. If you travel safely (by doing what the game tells you to do), you get safety bonuses. Each themed location, like Drown Town, Dumb Dome, and FreezerVille, will let you play a large array of games similar to the first app. FreezerVille is especially apt for this time of year, as players will go through winter-themed games, like Yeti Grooming, Rocket Ski Jump, and Landmine Curling, to help you get into the Christmas spirit. While in the Dumbest of the Dumb, you get to unlock new characters by staying alive through quick-fire rounds of an assortment of obstacles. It’s pretty much the same concept as the first game, except with much more variety, and actual lessons on safety around trains. If you’re a fan of the old game, there’s really no reason not to like this one either. After all, it actually starts at a slower pace this time, so it should be easier to play… right? Dumb Ways To Die 2 is available on iTunes, and will be available on Android by Christmas, so you can learn about train safety while watching cute cartoons get brutally killed just in time for the Holiday Season.